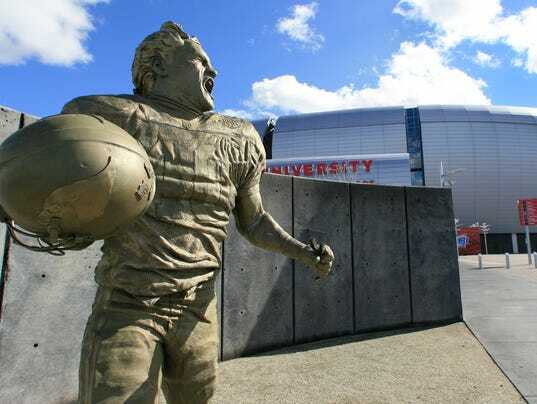 Pat Tillman’s 40th birthday would have been next weekend. Hard to believe it’s already been more than a dozen years since his life was cut so tragically short. One can only wonder what a man who was known for being introspective, intense, intelligent and passionate — not to mention self-deprecating and unvarnished — would make of his near mythological stature or a legacy that remains fueled by a foundation bearing his name and espousing his ideals plus a new NFL Films documentary that celebrates his life. “It’s always great that people want to continue to tell his story and honor him,” Tillman’s widow, Marie, told USA TODAY Sports this week. “Particularly through the foundation, we have so many people that reach out to us and have been impacted by Pat’s life and continue to carry that forward. Adrian Wilson, Tillman’s former Arizona Cardinals teammate, says his depiction as a modern day superhero is deserved even if it seems an outsized mantle.